I recently took my first trip to Greece, exploring the islands of Santorini and Paros before eating my weight in feta in Athens. 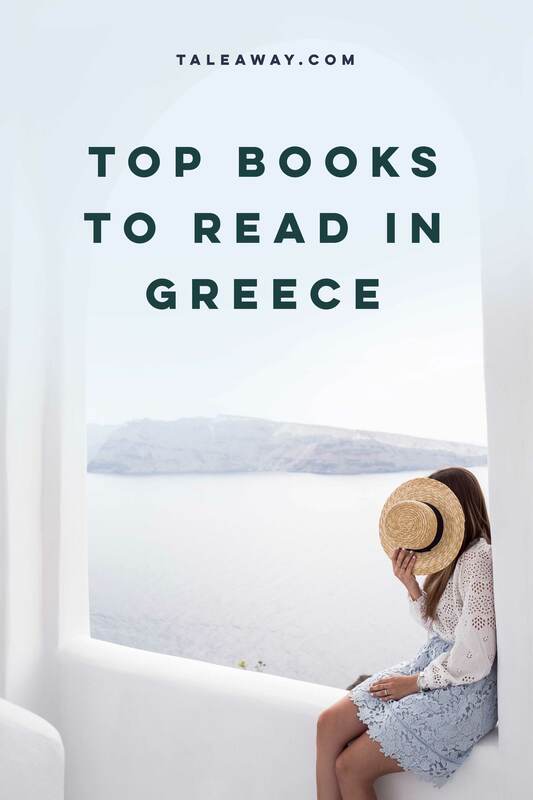 I found it hard to choose which books set in Greece to read; there’s everything from relaxed beach reads, through to epic classics such as The Iliad – one of the oldest pieces of western literature. For my trip, I wanted something in the middle, choosing Little Infamies; a collection of short stories that proved the perfect companion. They were ideal for island hopping, short enough to read a story while on a boat trip. 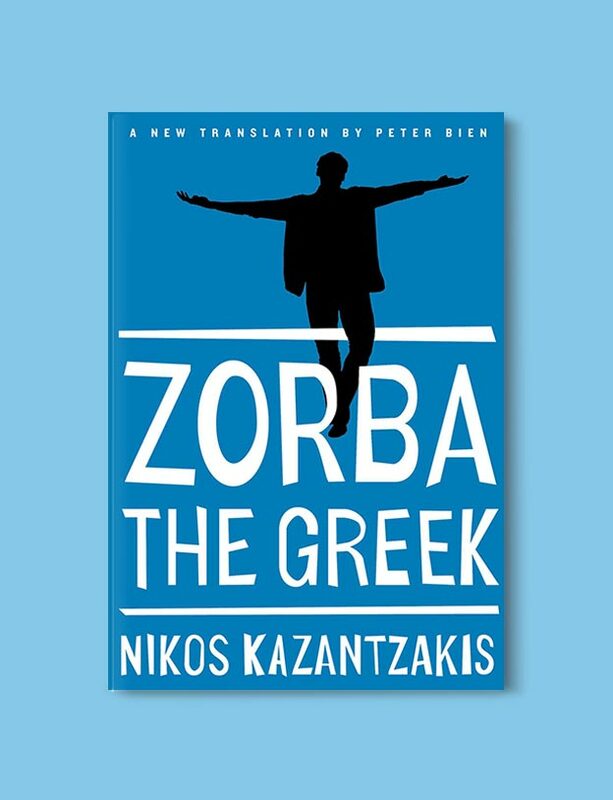 If you’re looking for some longer books set in Greece, try the spirited Zorba the Greek, the classic Corelli’s Mandolin or the moving tale of The Island. On beaches and boats of course! 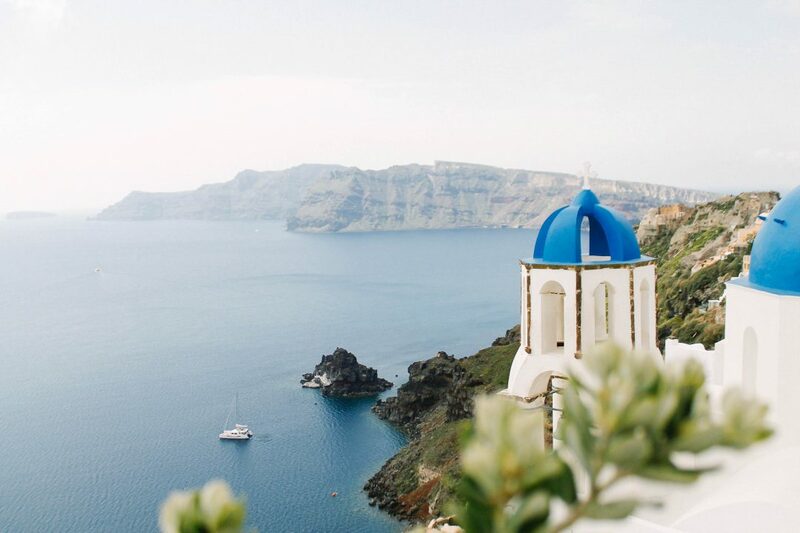 One of my favorite days was spent on a small boat sailing around Santorini with Captain Mario at Barbarossa Sailing. We spent the day island hopping, swimming, eating and reading on deck. In the town of Oia, I found a new favorite bookstore Atlantis Books – an enchanting cave literally stuffed with books. Back in Athens, my ideal reading spot is on the steps outside Yiasemi in the Plaka area right beneath the Acropolis. I’m still dreaming of their incredible orange cake! 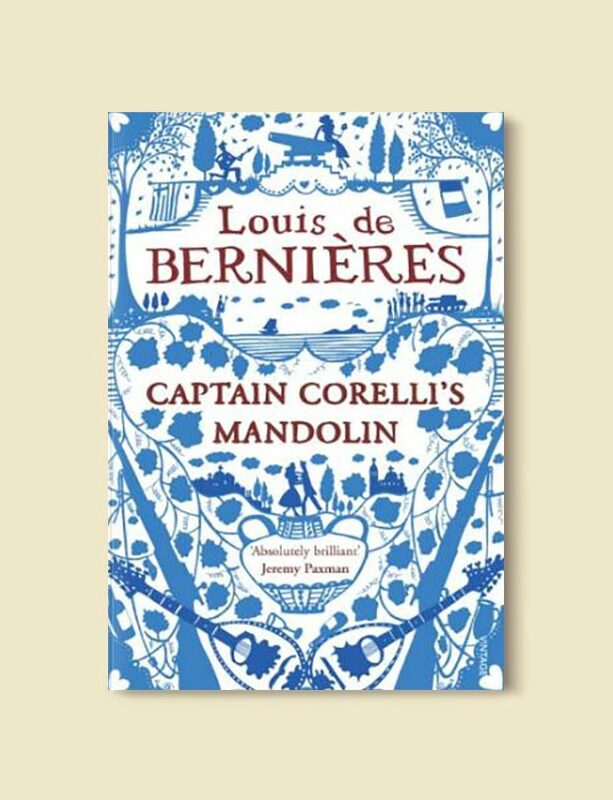 Captain Corelli’s Mandolin is set in the early days of the second world war, before Benito Mussolini invaded Greece. Dr Iannis practices medicine on the island of Cephalonia, accompanied by his daughter, Pelagia, to whom he imparts much of his healing art. Even when the Italians do invade, life isn’t so bad—at first anyway. The officer in command of the Italian garrison is the cultured Captain Antonio Corelli, who responds to a Nazi greeting of “Heil Hitler” with his own “Heil Puccini”, and whose most precious possession is his mandolin. 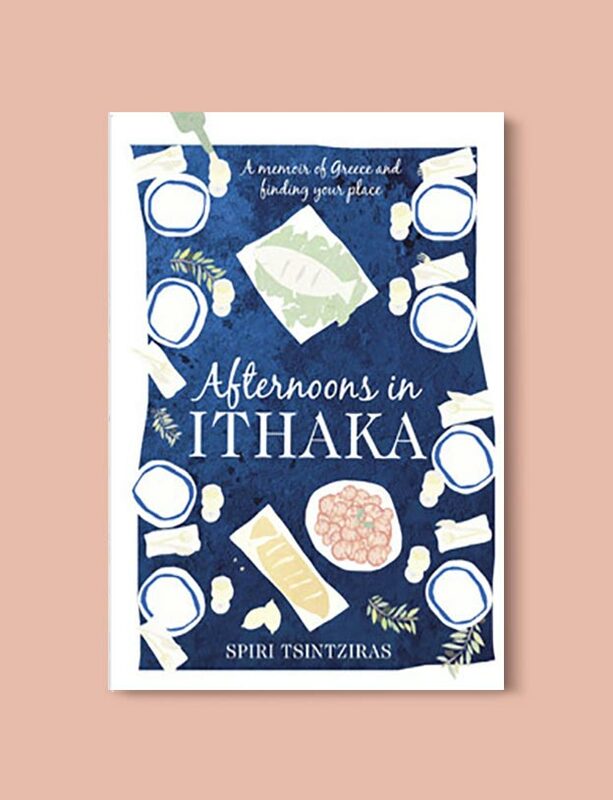 From the first heady taste of tomatoes on home-baked bread in her mother’s village in Petalidi, to sitting at a taverna some 30 years later in Ithaka with her young family, Spiri Tsintziras goes on a culinary, creative and spiritual journey that propels her back and forth between Europe and Australia. These evocative, funny and poignant stories explore how food and culture, language and music, and people and their stories help to create a sense of meaning and identity. In 1948, as civil war ravaged Greece, children were abducted and sent to communist “camps” inside the Iron Curtain. Eleni Gatzoyiannis, forty-one, defied the traditions of her small village and the terror of the communist insurgents to arrange for the escape of her three daughters and her son, Nicola. For that act, she was imprisoned, tortured, and executed in cold blood. In 1948, the body of an American journalist is found floating in the bay off Thessaloniki. A Greek journalist is tried and convicted for the murder… but when he’s released twelve years later, he claims his confession was the result of torture. Flash forward to modern day Greece, where a young, disaffected high school student is given an assignment for a school project: find the truth. 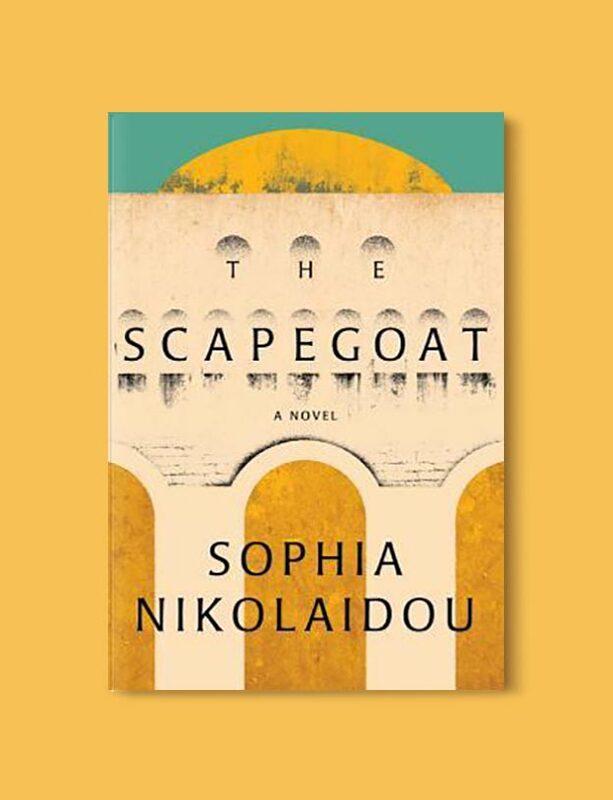 Based on the real story of famed CBS reporter George Polk—journalism’s prestigious Polk Awards were named after him—who was investigating embezzlement of U.S. aid by the right-wing Greek government, Nikolaidou’s novel is a sweeping saga that brings together the Greece of the post-war period with the current era, where the country finds itself facing turbulent political times once again. 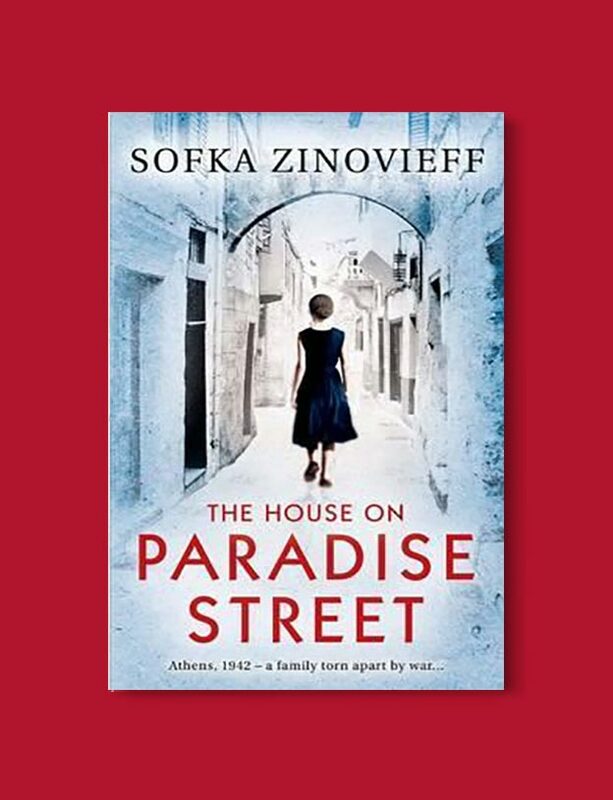 Sofka Zinovieff had fallen in love with Greece as a student, but little suspected that years later she would, return for good with an expatriate Greek husband and two young daughters. 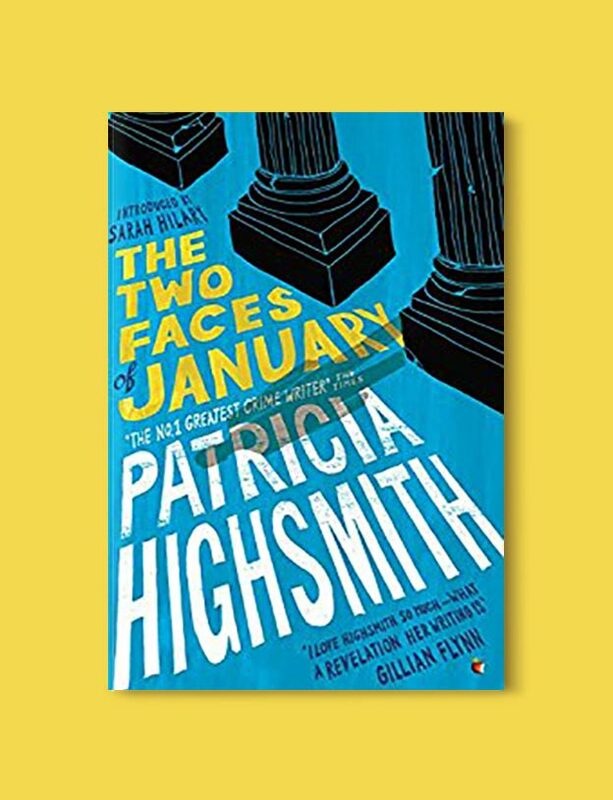 This book is a wonderfully fresh, funny, and inquiring account of her first year as an Athenian. 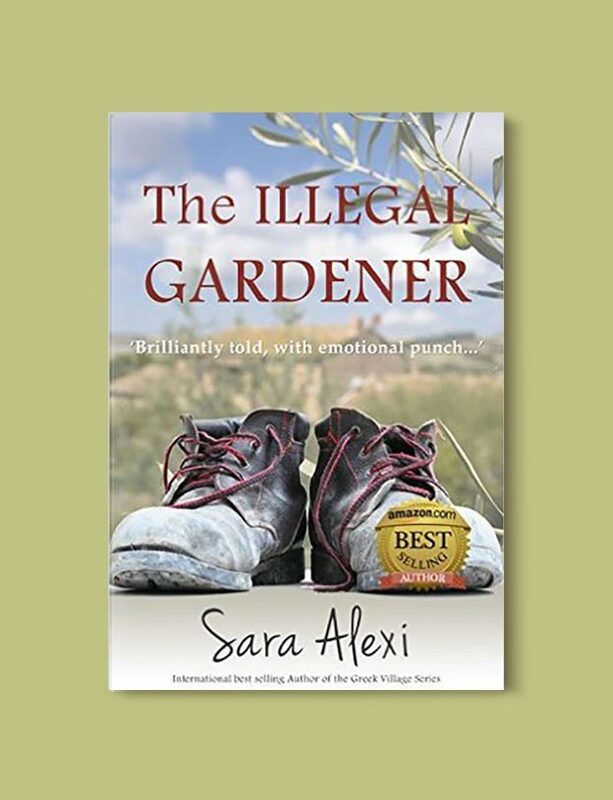 The whole family have to come to grips with their new life and identities—the children start school and tackle a new language, and Sofka’s husband, Vassilis, comes home after half a lifetime away. 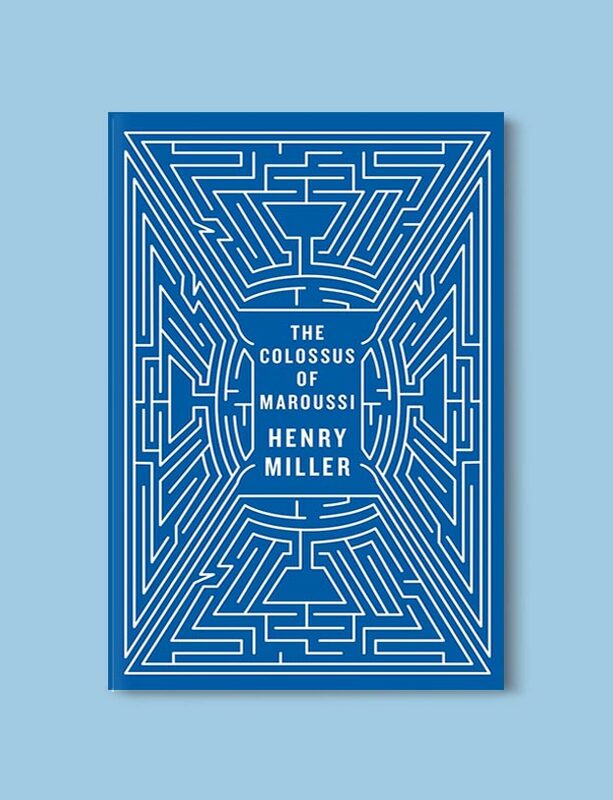 The Colossus of Maroussi is an impressionist travelogue by Henry Miller, written in 1939 and first published in 1941 by Colt Press of San Francisco. As an impoverished writer in need of rejuvenation, Miller travelled to Greece at the invitation of his friend, the writer Lawrence Durrell. The text is inspired by the events that occurred. The text is ostensibly a portrait of the Greek writer George Katsimbalis, although some critics have opined that is more of a self-portrait of Miller himself. Miller considered it to be his greatest work. 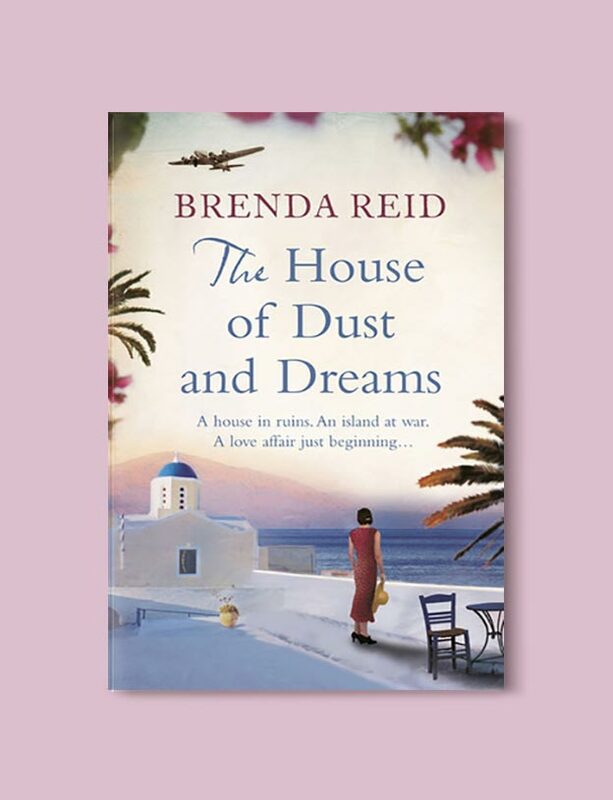 When the unconventional Durrell family can no longer endure the damp, gray English climate, they do what any sensible family would do: sell their house and relocate to the sunny Greek isle of Corfu. 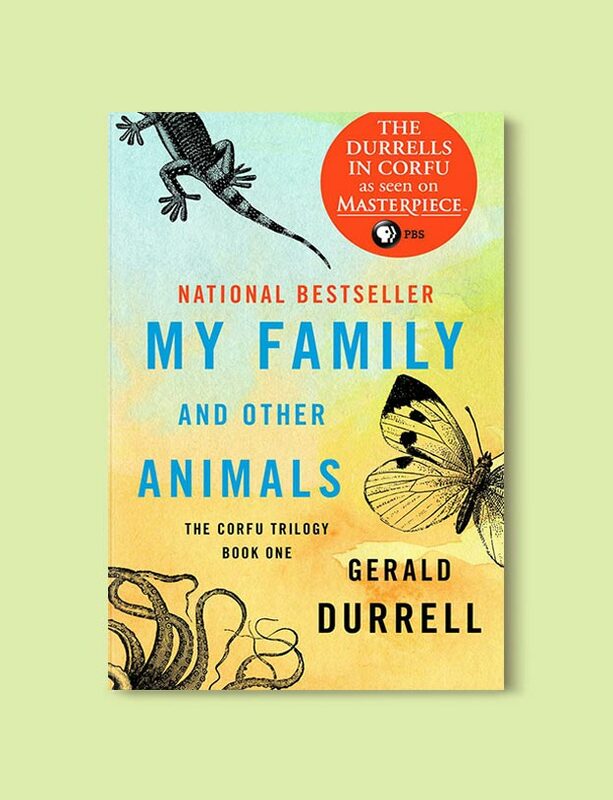 My Family and Other Animals was intended to embrace the natural history of the island but ended up as a delightful account of Durrell’s family’s experiences, from the many eccentric hangers-on to the ceaseless procession of puppies, toads, scorpions, geckoes, ladybugs, glowworms, octopuses, bats, and butterflies into their home. 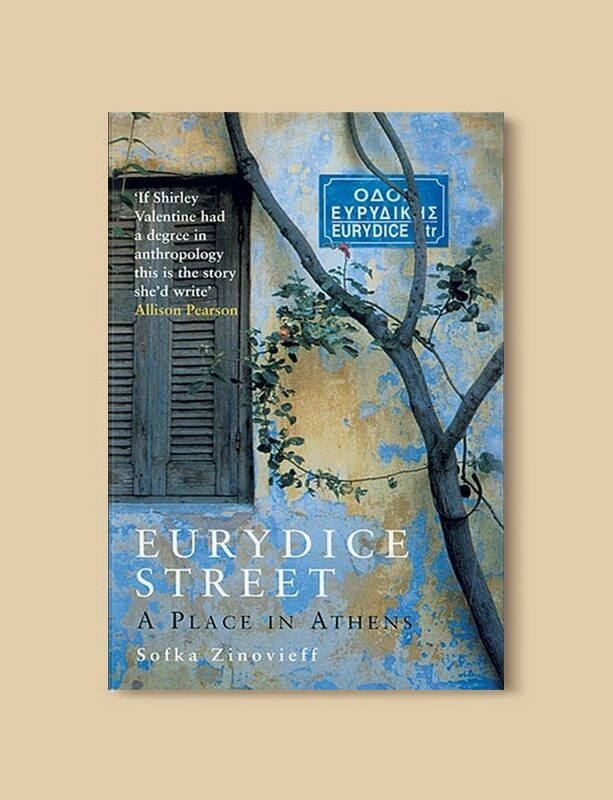 A beautiful and epic novel that spans nearly a hundred years, The Thread is a magnificent story of a friendship and a love that endures through the catastrophes and upheavals of the twentieth century–both natural and man-made–in the turbulent city of Thessaloniki, Greece. 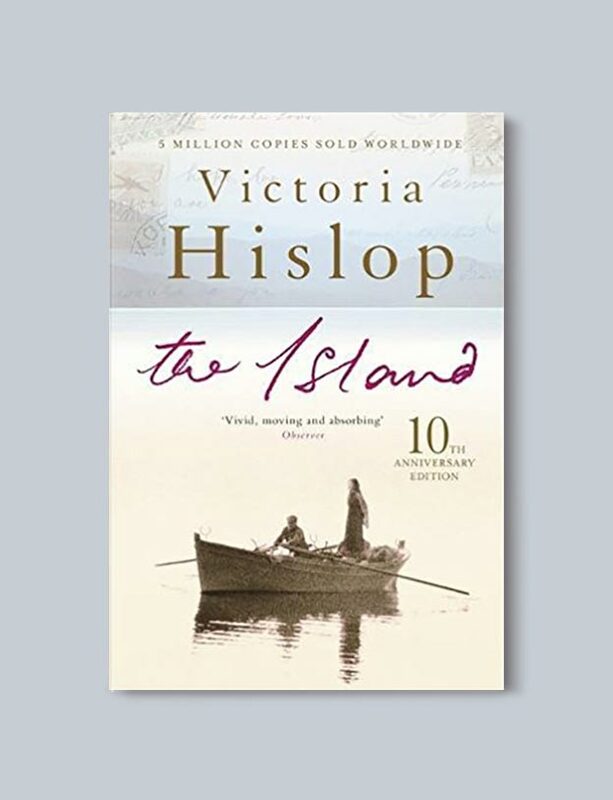 Victoria Hislop, internationally bestselling author of The Island and The Return, has written a wonderfully evocative and enthralling saga enriched by deep emotion and sweeping historical events, from fire to civil war to Nazi brutality and economic collapse. 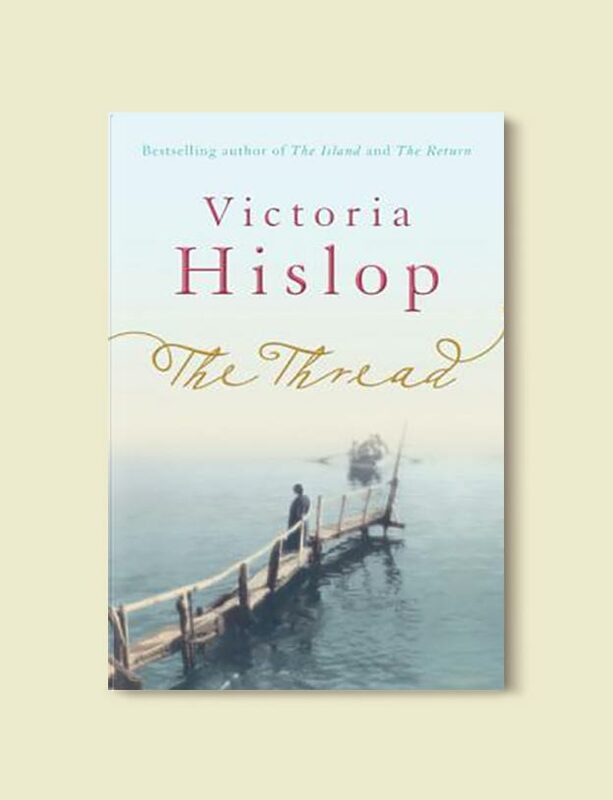 The Thread is historical fiction at its finest, colorful and captivating with truly unforgettable characters–a novel that brilliant captures the energy and life of this singular Greek city. Three of them are waiting. Rydal Keener is waiting for something exciting to happen in his grubby little Athens hotel. At forty-odd, Chester MacFarland has been waiting much longer, expecting his life of stock manipu­lation and fraud to catch up with him. And Colette, Chester’s wife, is waiting for something altogether different. After a nasty little incident in the hotel, they all wait together. As the stakes, and the tension, in their three-cornered waiting game mount, they learn that while passports and silence can be bought, other things can cost as much as your life. 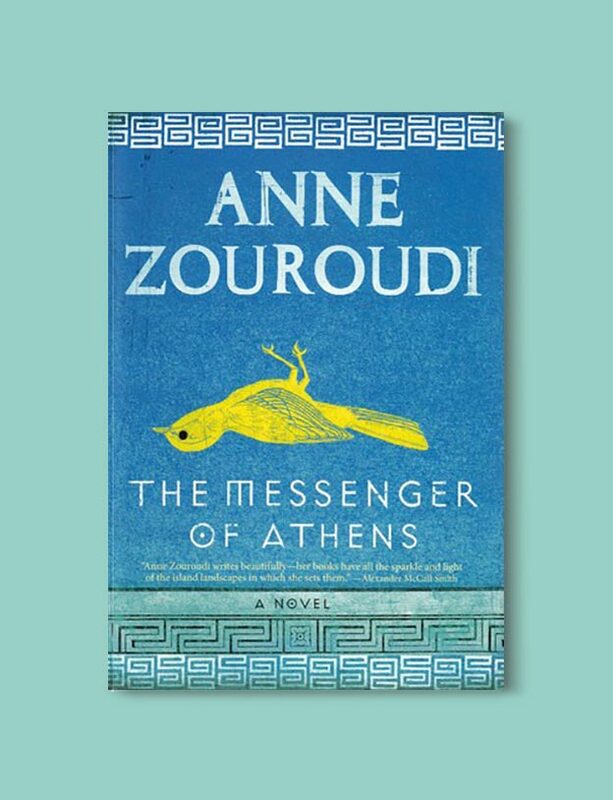 In a nameless Greek village, the lives of its citizens – the priest, the whore, the doctor, the seamstress, the mayor – and even its animals – a centaur, a parrot that recites Homer, a horse called History – are entwined. 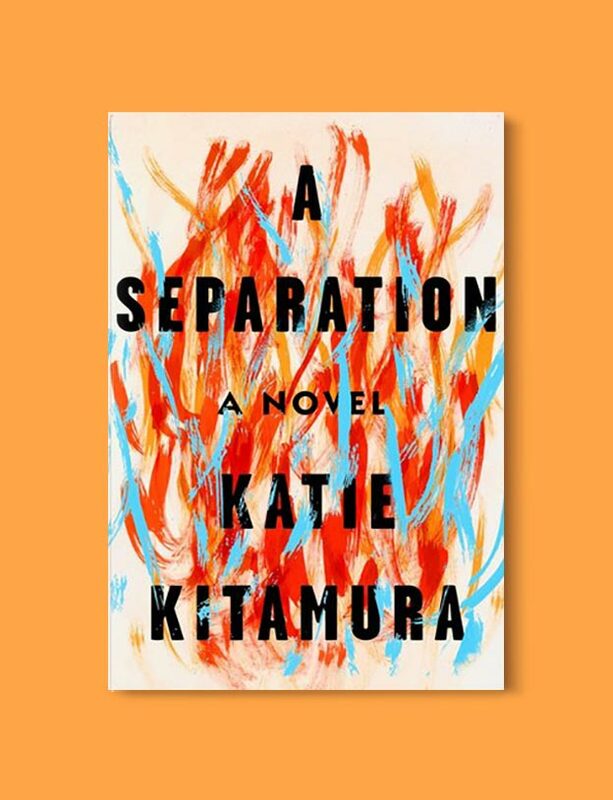 As their lives intersect, their hidden crimes, their little infamies, are revealed, in a place full of passion, cruelty, and deep reserves of black humor. Greece 1936. A young British diplomat and his wife have been posted to Athens. 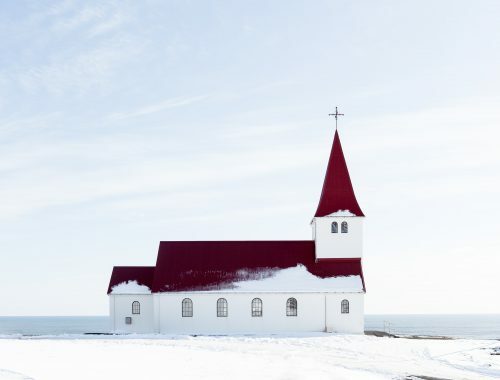 Hugh loves the life there but his spirited and unconventional wife, Heavenly, finds it hard to fit into the whirl of endless parties and socializing. When Hugh is sent to Crete to sort out a problem, they stay in a rundown house owned by his family. Heavenly falls in love with the place and the people, and stays on when Hugh returns to his duties. 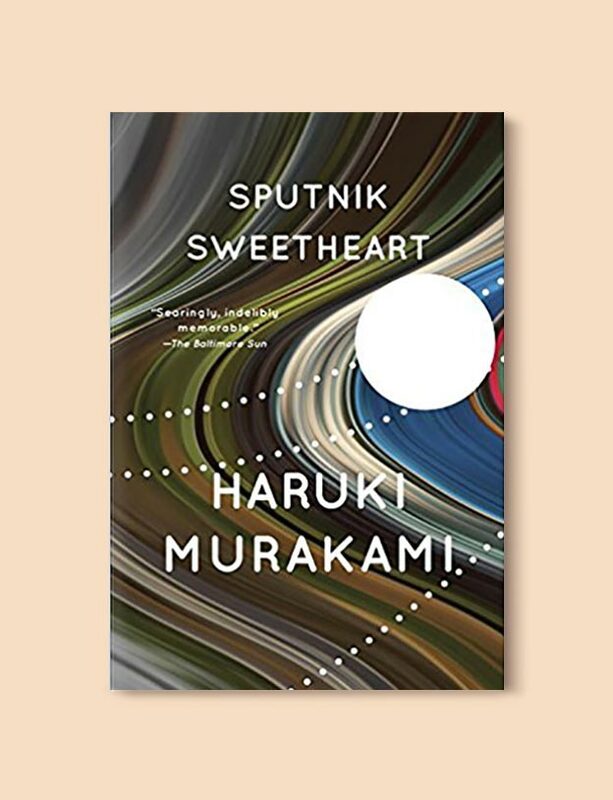 As she tries to rebuild the ramshackle home, Heavenly makes firm friends with Anthi, a young woman from the village, and Christos, the handsome and charismatic young builder. But the dark clouds of war are gathering and the island will become a crucible of violence and bloodshed in the days to come. For Heavenly, her friends, and her family, it will be the greatest test they have ever known. This daring literary thriller, rich with eroticism and suspense, is one of John Fowles’s best-loved and bestselling novels and has contributed significantly to his international reputation as a writer of the first rank. 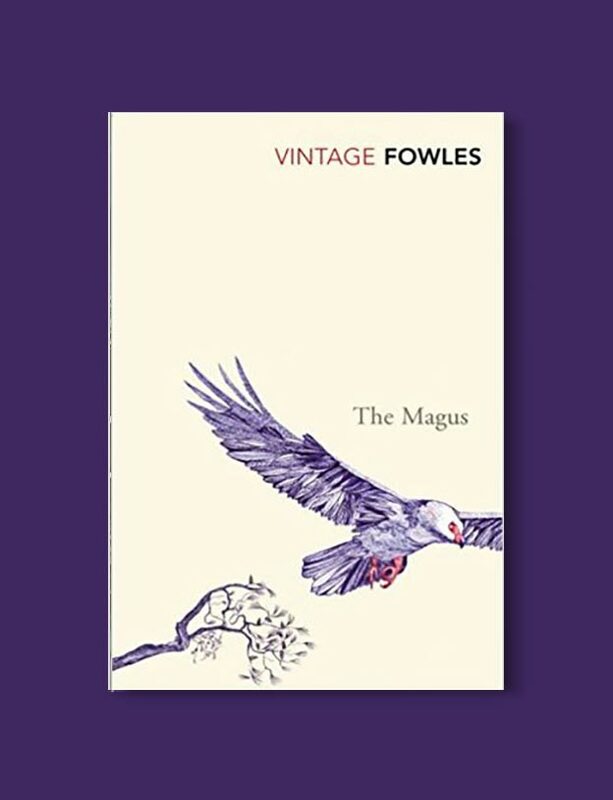 At the center of The Magus is Nicholas Urfe, a young Englishman who accepts a teaching position on a remote Greek island, where he befriends a local millionaire. The friendship soon evolves into a deadly game in which reality and fantasy are deliberately manipulated, and Nicholas finds that he must fight not only for his sanity but for his very survival. Idyllic but remote, the Greek island of Thiminos seems untouched and untroubled by the modern world. So when the battered body of a young woman is discovered at the foot of a cliff, the local police – governed more by archaic rules of honor than by the law – are quick to close the case, dismissing her death as an accident. With wit and wile, the ‘man of twists and turns’ meets the challenges of the sea-god Poseidon, and monsters ranging from the many-headed Scylla to the cannibalistic Cyclops Polyphemus – only to return after twenty years to a home besieged by his wife Penelope’s suitors. 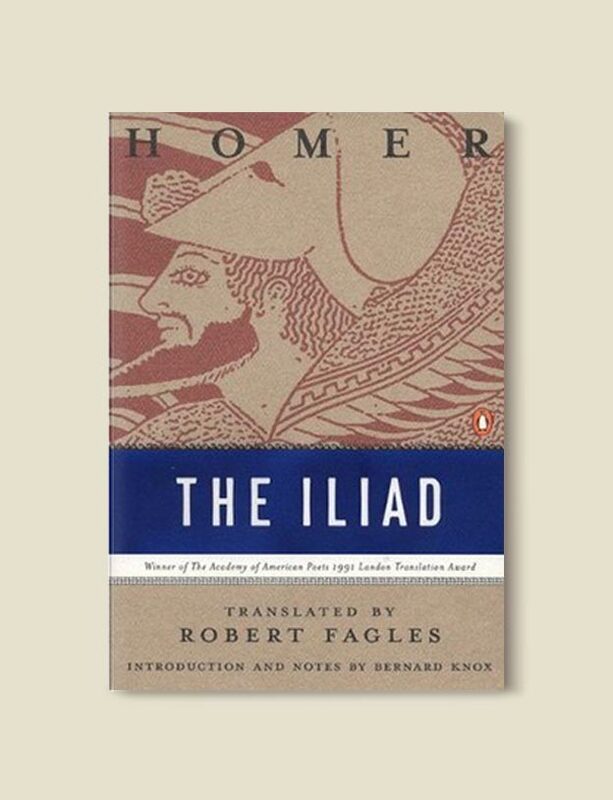 In the myths and legends retold in this immortal poem, Fagles has captured the energy of Homer’s original in a bold, contemporary idiom. May 1941 and the island of Crete is invaded by paratroopers from the air. 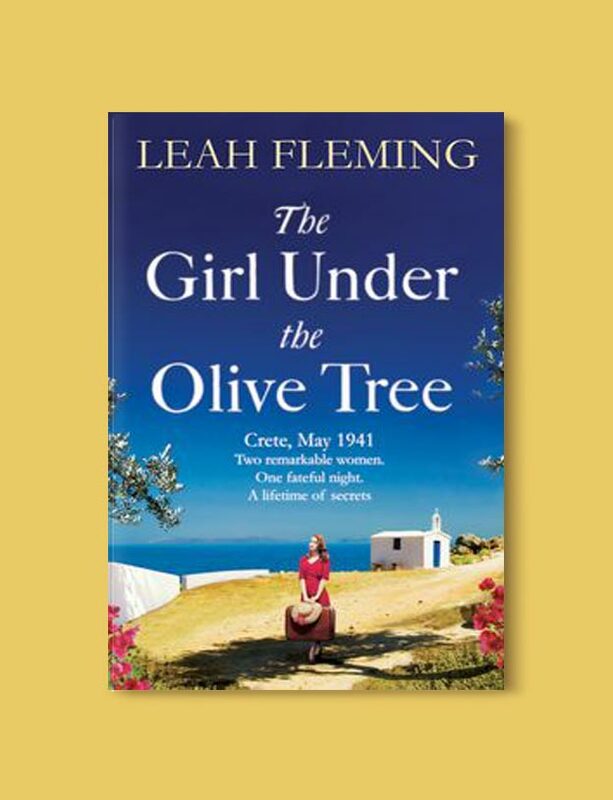 60 years later, Lois West and her young son, Alex, invite feisty Great Aunt Pen to a special 85th birthday celebration on Crete, knowing she hasn’t been back since the war. When word spreads of her visit, and old friends come to greet her, Lois and Alex are caught up in her pilgrimage and the journey which leads her to a reunion with the friend she thought she had lost – and the truth behind a secret buried in the past. 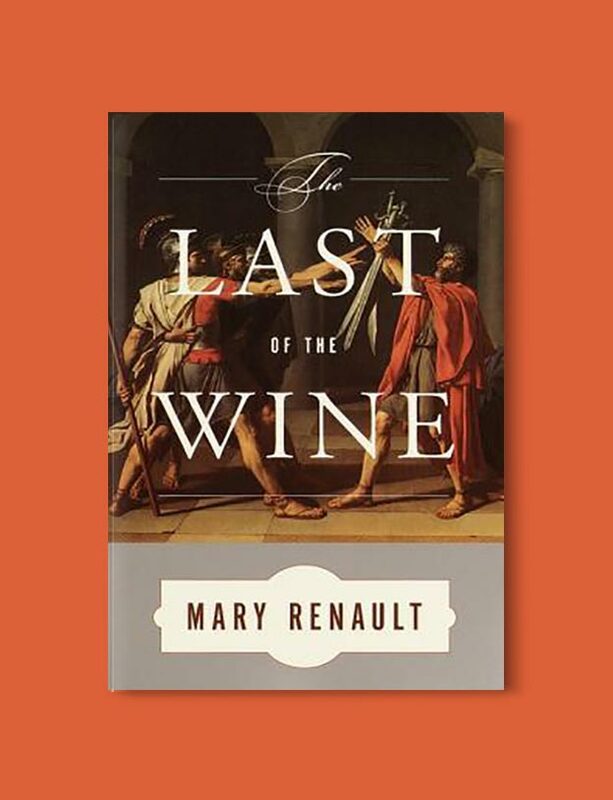 In The Last of the Wine, two young Athenians, Alexias and Lysis, compete in the palaestra, journey to the Olympic games, fight in the wars against Sparta, and study under Socrates. As their relationship develops, Renault expertly conveys Greek culture, showing the impact of this supreme philosopher whose influence spans epochs. Driven by a need for some control in her life, Juliet sells up on impulse and buys a run down farmhouse in a tiny Greek village, leaving her English life behind. Her boys have grown and she has finally divorced her bullying husband. This is her time now. Whilst making her new home habitable, Juliet discovers she needs a sturdy helping hand with the unruly and neglected garden. Unwilling to share her newfound independence with anyone, but unable to do all the work by herself, she reluctantly enlists casual labour. In 2008 Antigone Perifanis returns to her old family home in Athens after 60 years in exile. She has come to attend the funeral of her only son, Nikitas, who was born in prison, and whom she has not seen since she left him as a baby. Nikitas had been distressed in the days before his death and, curious to find out why, his English widow Maud starts to investigate his complicated past. 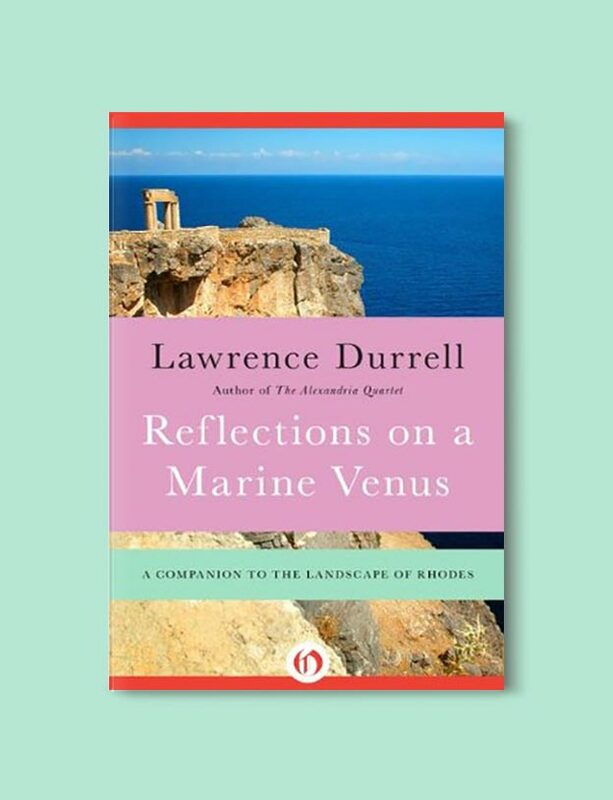 In his hugely popular Prospero’s Cell, Lawrence Durrell brought Corfu to life, attracting tens of thousands of visitors to the island. 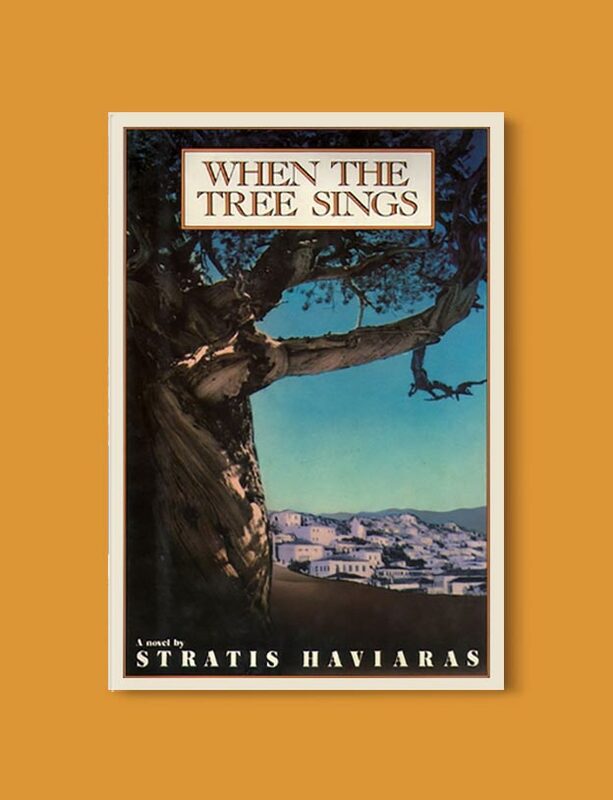 With Reflections on a Marine Venus, he turns to Rhodes: ranging over its past and present, touching with wit and insights on the history and myth which the landscape embodies, and presenting some real and some imagined. 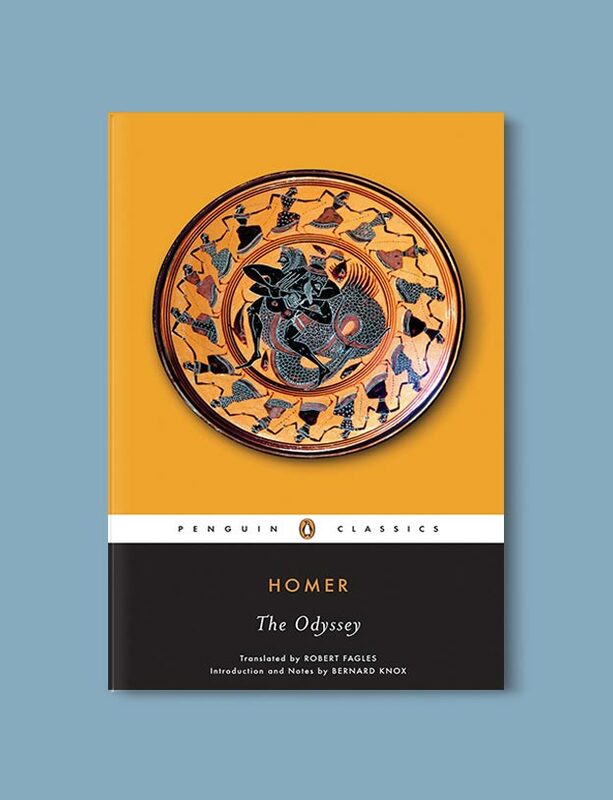 With the same wit, tenderness and poetic insight that characterized Prospero’s Cell, Reflections on a Marine Venus is an excellent introduction the Eastern Mediterranean. 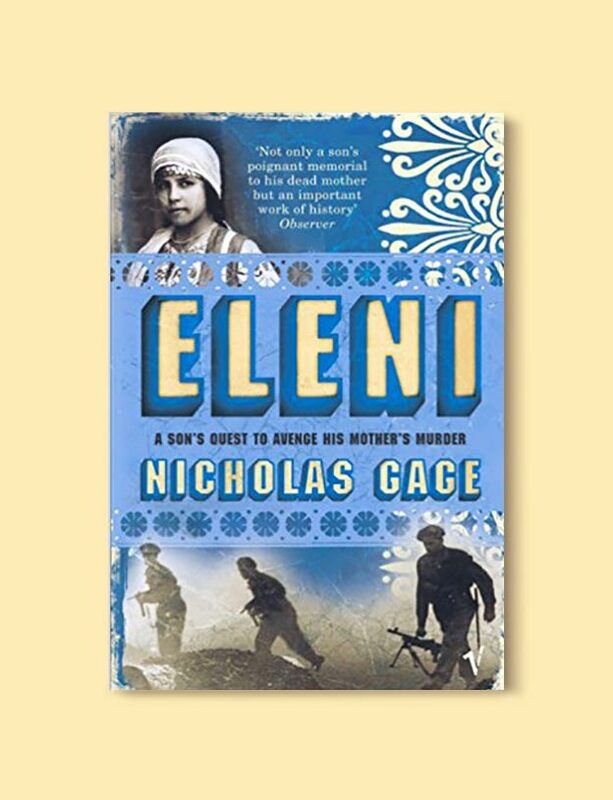 In North of Ithaka, Eleni Gage returns to the remote Greek village of Lia, where her father was born and her grandmother murdered, to rebuild the ruins of her namesake’s home and come to terms with her family’s tragic history. In doing so, she leaves behind a sparkling social life and successful career to continue the tale of a family and a place which her father, Nicholas Gage, made famous over twenty years ago with his international bestseller, Eleni. Along the way she survives humorous misadventures, absorbs fascinating folklore, and comes to understand that memories of the dead can bring new life to the present. Part travel memoir and part family saga, North of Ithaka is, above all, a journey home. Everything. John was to spend much of the next four years regretting his moment of madness. 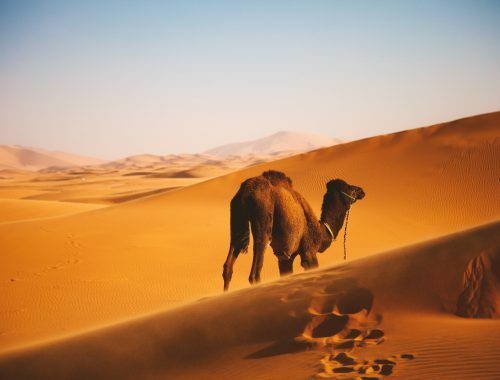 Sometimes comic, at other times infuriating, here father and son tell a story by turns hilarious and revealing about a country that intrigues and infuriates in equal measure. The story of a man in love with a place, a woman, and a dream. 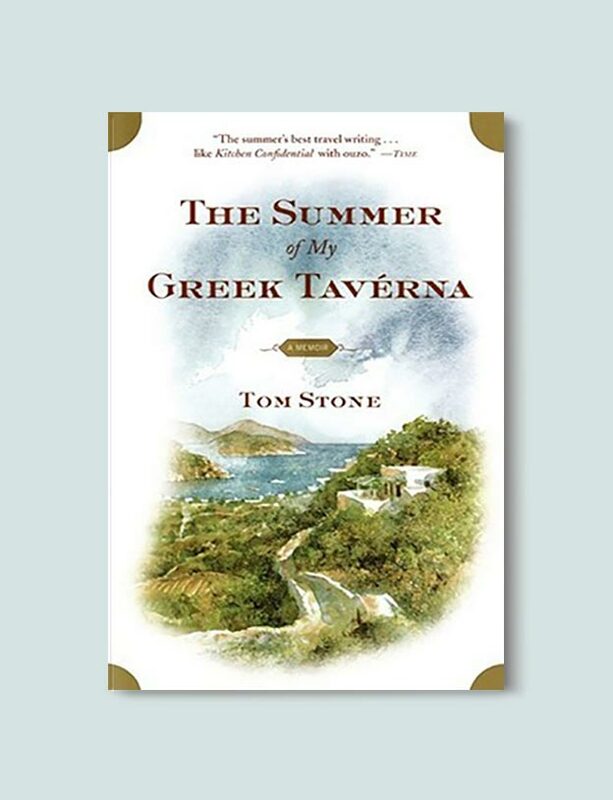 Tom Stone went to Greece one summer to write a novel – and stayed twenty-two years. On Patmos, he fell in love with Danielle, a beautiful French painter. His novel completed and sold, he decided to stay a little longer. Seven idyllic years later, they left Patmos for Crete. When a Patmian friend Theológos called and offered him a summer partnership in his beach tavérna, The Beautiful Helen. Stone jumped at the chance – much to the dismay of his wife, who cautioned him not to forget the old adage about Greeks bearing gifts. 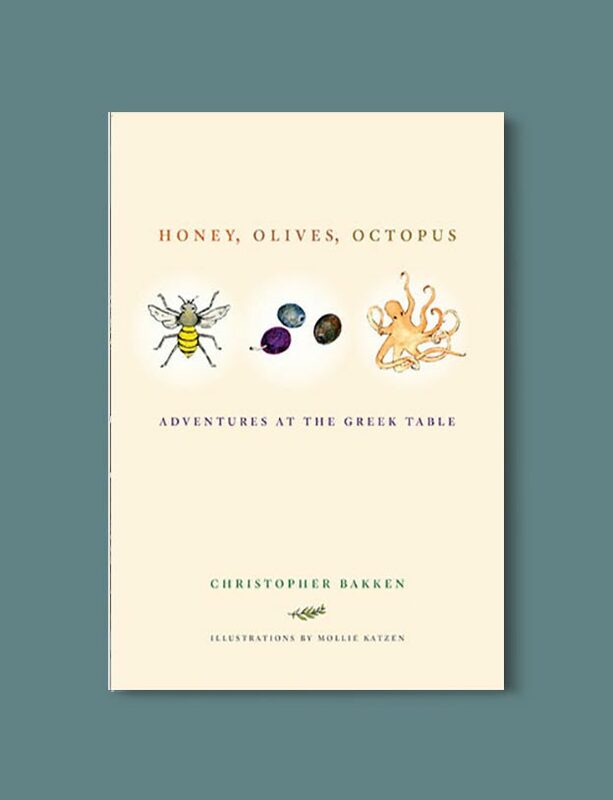 Combining the best of memoir, travel literature, and food writing, Christopher Bakken delves into one of the most underappreciated cuisines in Europe in this rollicking celebration of the Greek table. 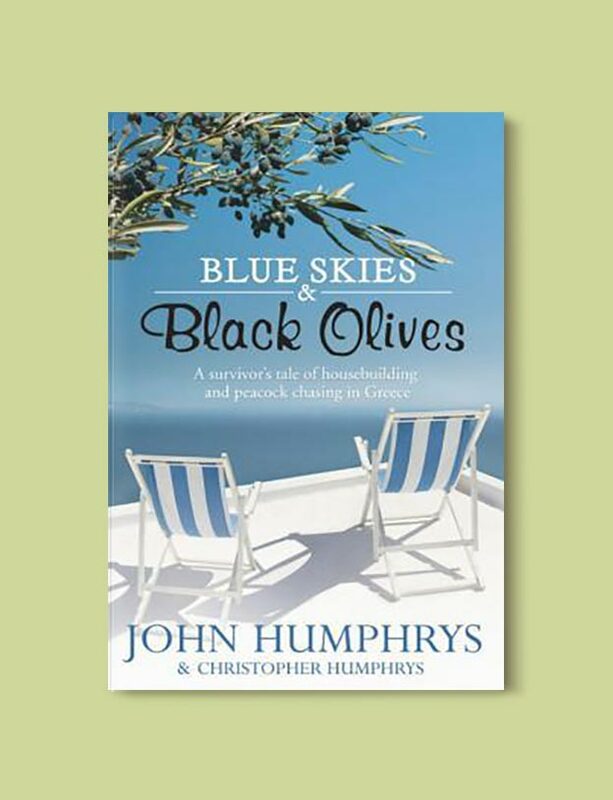 He explores the traditions and history behind eight elements of Greek cuisine – olives, bread, fish, cheese, beans, wine, meat, and honey – and journeys through the country searching for the best examples of each. Sumire is in love with a woman seventeen years her senior. But whereas Miu is glamorous and successful, Sumire is an aspiring writer who dresses in an oversized second-hand coat and heavy boots like a character in a Kerouac novel. A young boy comes of age during World War II while living in German-occupied Greece and consequently witnesses the ongoing destruction of his family, his village, and ultimately his way of life. What do you think of these books set in Greece? Have a great book recommendation or travel tip I’ve missed? 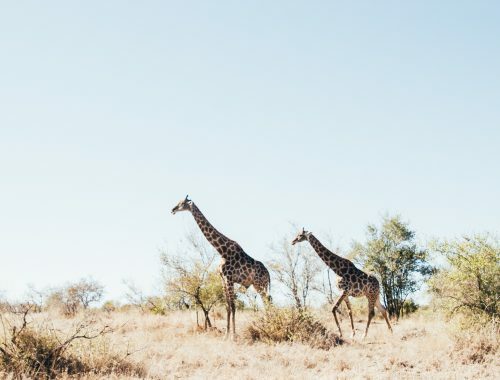 Are you planning a trip sometime soon? 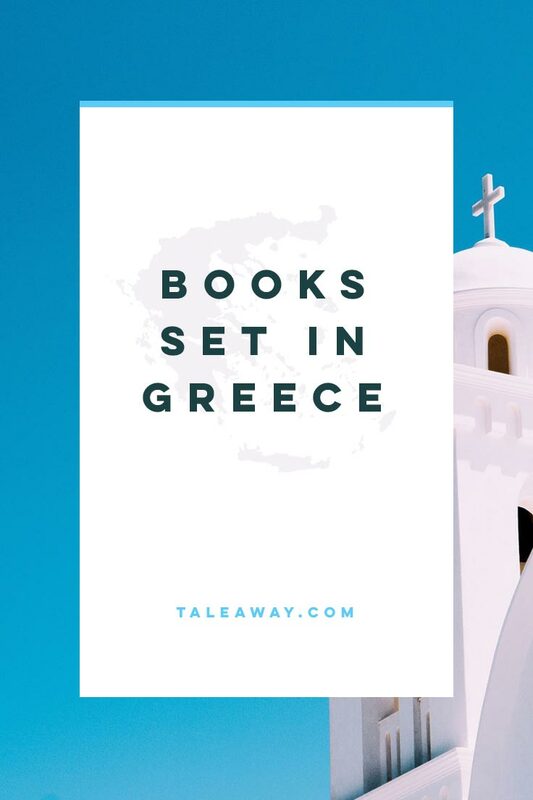 I’d love to hear about more abot your travel plans and books set in Greece in the comments below! Hi Gaby, thanks so much for the amazing recommendation! I love Stephen Fry and his sense of humour, so can only image how fun this read must be! My trilogy, The Gift Saga is set in both Greece and New York — Evanthia’s Gift; Waiting For Aegina; Chasing Petalouthes. 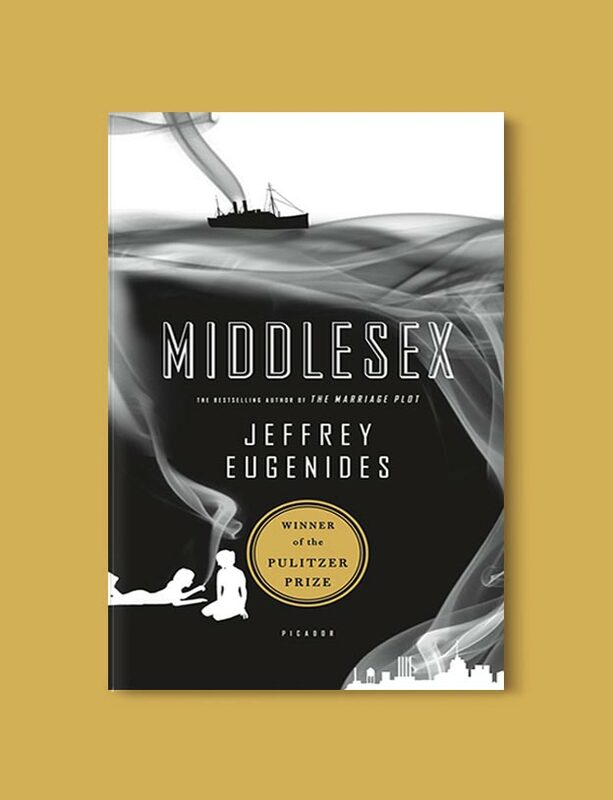 An epic multigenerational love story and family saga set in both New York and Greece, spanning over eight decades with each book’s perspective focusing on a different generation. 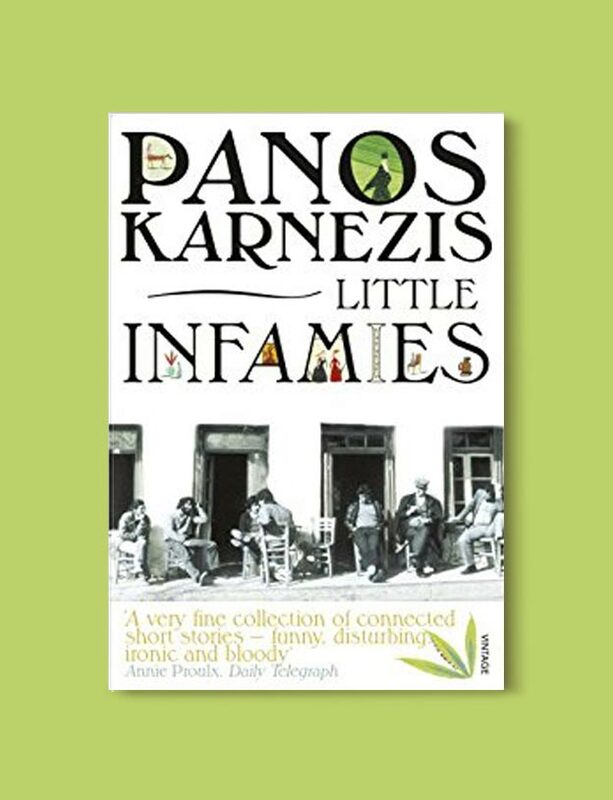 From Kefalonia in the 1920s and war-torn Thessaloniki in the 1940s to Nostalgic NYC in the 1950s and leading to more current times, follow this large group of family and friends through heartbreaks and triumphs as they find their place in the world. I hope you will take a look at two of my books set in Greece. One, Around a Greek Table, Recipes and Stories, includes not only recipes but stories of a culture that was centered on family. Published by Globe-Pequot/Lyons Press, it is arranged according to the liturgical year of the Eastern Church. And the second describes the Hellas of the first century and how Christianity started in her cities. A New Love, published by Material Media. This one is a novel. Patrick Leigh Fermor started wandering the world and writing about it as a teenager in the 1930’s. He fell in love with Greece, became famous for abducting a Nazi general while serving with the British forces on Crete, and built a home at Kardamyli overlooking the sea where he lived and entertained friends until his late 90’s. His books Mani and Roumeli celebrate the people, the customs, and the history of those areas in Greece.